The current drought may have brought water scarcity into the spotlight, but in truth, South Africa has been in crisis a lot longer. Clean and safe drinking water is still inaccessible to millions of South Africans. This World Water Day, on Wednesday 22 March, the Rotary SafeWater Project will be installing two community water filtration units and 30 household units at Flenterskloof Farm in Klapmuts in the Western Cape. But the non-profit organisation’s work extends far beyond this prominent day on their calendar, and the drought is making it even harder for them to tackle this ongoing problem. Multiple communities across South Africa, and Africa, are living without clean and safe drinking water. “In times of drought, it becomes even more important to get these filters into these communities in desperate need of safe drinking water. Our work is even more urgent because where these communities extract their water from is becoming even more challenging,” says Tony Davidson, coordinator of the Rotary SafeWater project and member of the Rotary Club of Sea Point. Community units are typically installed, for example, in clinics, schools and aftercare centres. 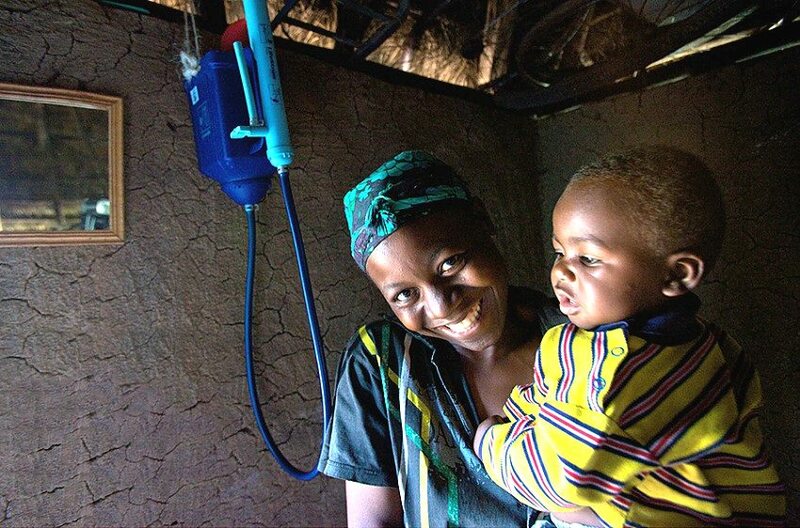 While household units supply families in rural areas with clean and safe water to drink, wash their hands, and wash their vegetables each year. Rotary SafeWater Project is currently working with the Pebbles Project, which provides on the ground support – a valuable resource in the care and maintenance of the installed filtration units. Millions of people do not have access to water at the twist of a tap. Water borne diseases causing diarrhoea kill more children in Sub-Saharan Africa than HIV/AIDS, measles and malaria combined. In fact, almost 6000 people die every day from consuming unsafe drinking water. The majority are children. Where there was very little water to work with before, what now remains is contaminated with sand, silt, and in all likelihood, worms. To raise funds for these units, and help families in dire need, the Rotary Club of Sea Point sells Relate Bracelets in support of this project. What is needed is for more bracelets to be sold, through additional corporates and retailers, on a much larger scale. 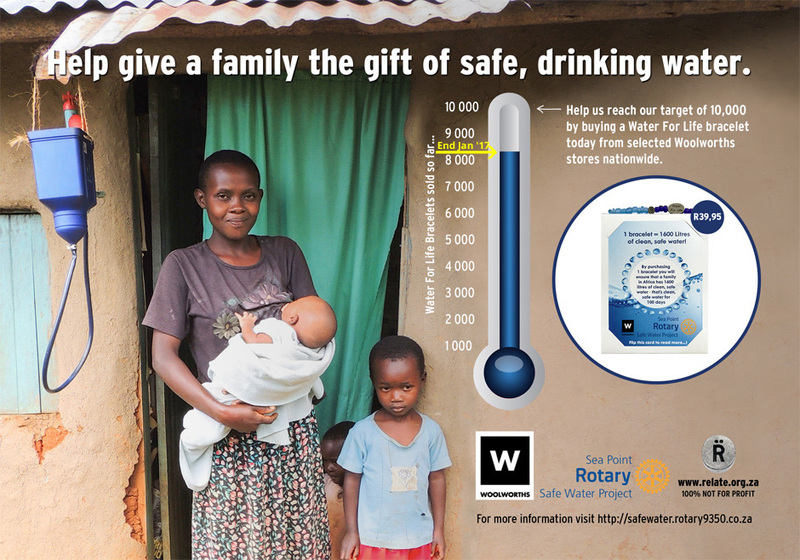 To date, the Rotary SafeWater Project has benefitted from the sale of almost 50 000 Relate bracelets, raising almost half a million Rand from partnerships such as Protea Hotels by Marriott and Woolworths. “We encourage Rotary clubs, corporates, retailers and other interested people to get in touch so we can help more people in more communities,” says Davidson. This article was first published by The Green Times on 22 March 2017.